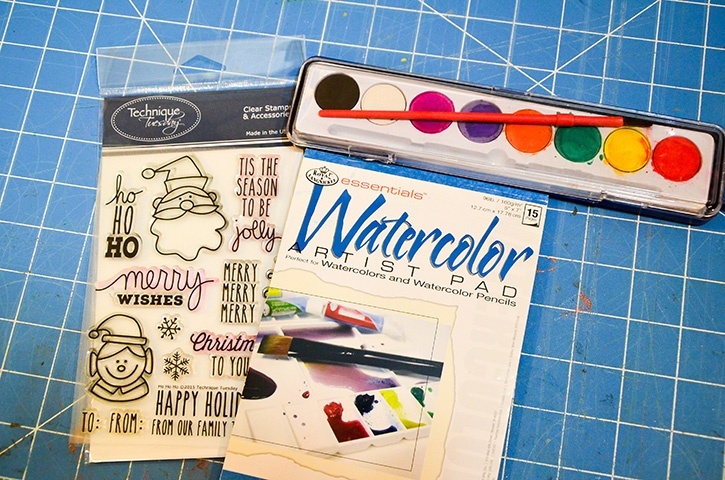 Water color and mixed media is all the rage now in the card making world and I included a little bit of it in this Santa card set. 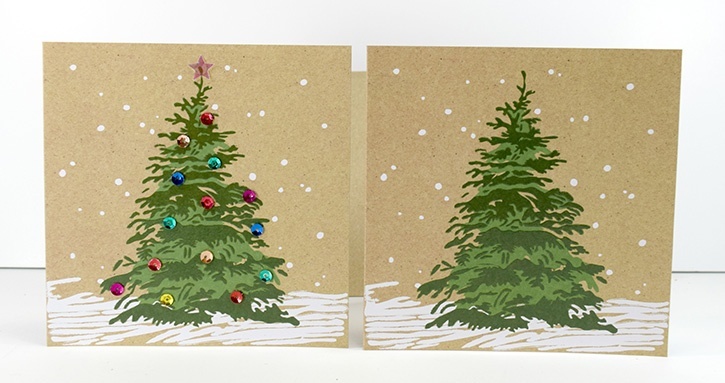 With the help of Glue Dots® adhesives, I was able to use different paper mediums to complete the cards. 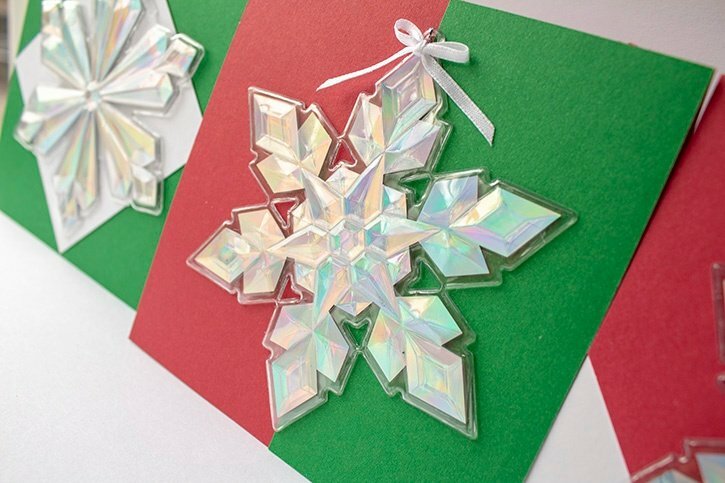 Create the card bases using white cardstock. Stamp the "Santa" image on watercolor paper. Color with watercolor paint and set aside to dry. Cut out the image. 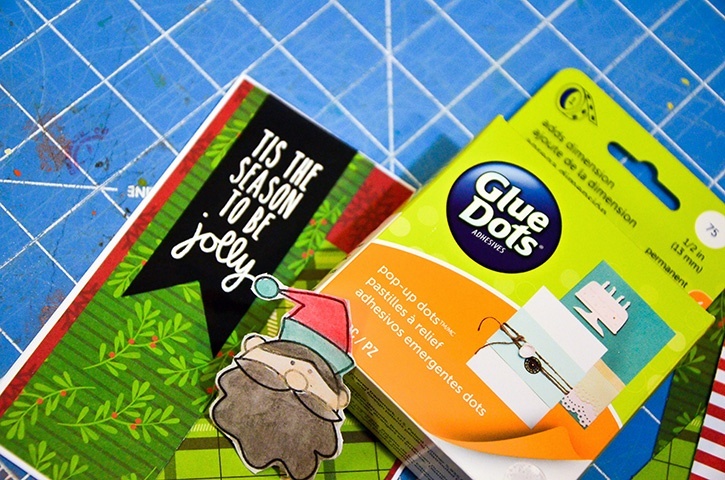 Add some glitter paste onto the Santa images and set aside to dry. Cut three papers measuring 4 x 5 ¼". Cut out three 3” circles from paper. Cut 3, 2" strips of paper. Stamp the sentiment onto black cardstock using Versamark ink. Heat emboss them using white powder. Put together the cards. Layer the circles on the right side for two of the cards. Adhere to the pattern paper block using Premium Permanent GlueTape. 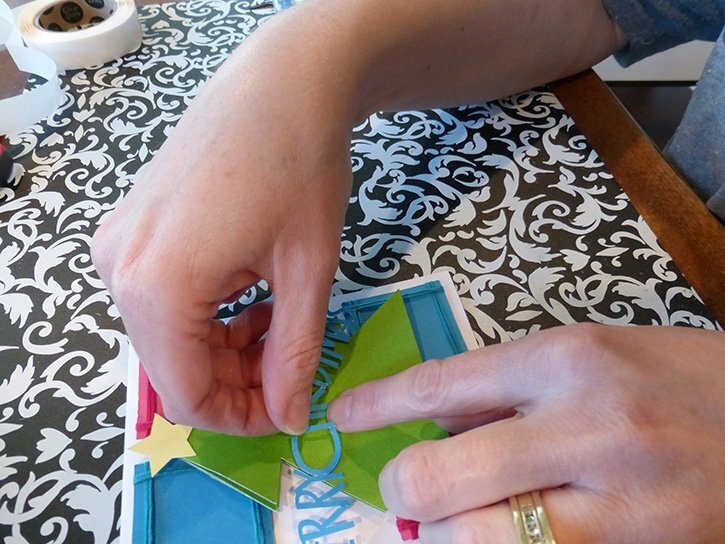 Adhere the paper strips onto the left side of the card using Premium Permanent GlueTape. Trim off the excess. Cut a pennant shape on the bottom of the sentiment black piece and adhere to the top of the paper strip panel. Use Premium Permanent GlueTape adhesive to adhere it in place. For the third card, place the circle on the center of the big paper block. Place the 2" paper strip on the bottom of the circle. Layer the sentiment on top of the horizontal paper strip. 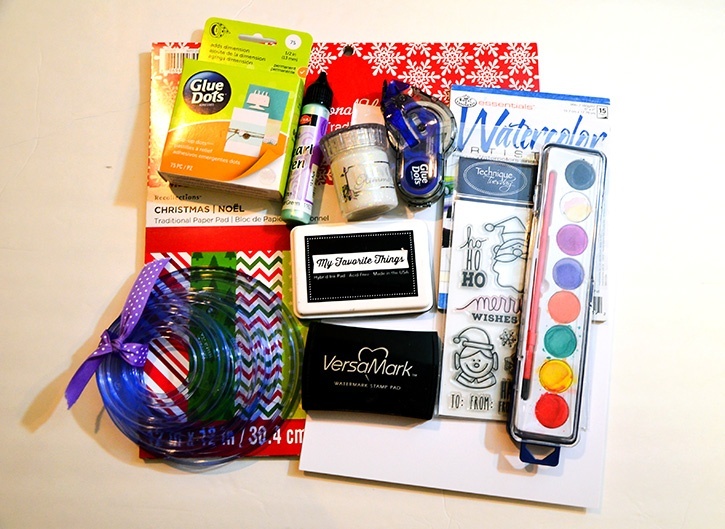 Adhere everything with Premium Permanent GlueTape. 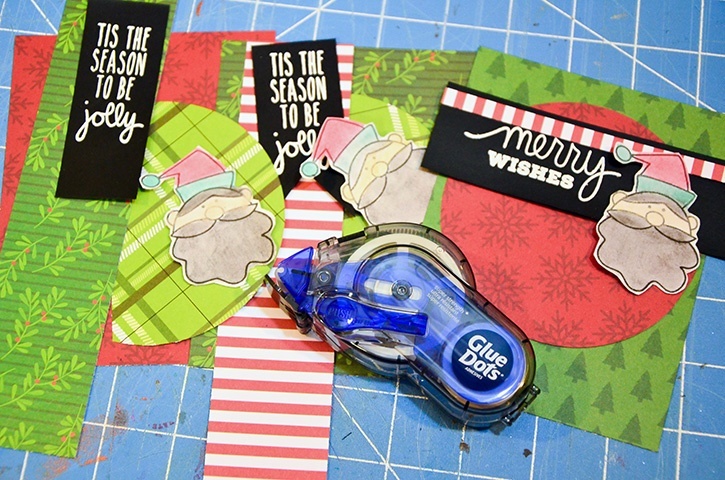 Adhere all of the layered card panels on the white cards using Premium Permanent GlueTape. 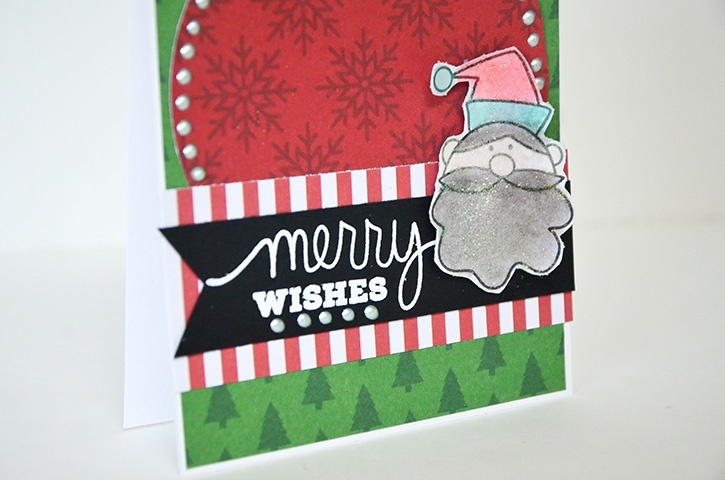 Adhere the Santa images onto the cards using Pop Up Dots for added dimension if desired. 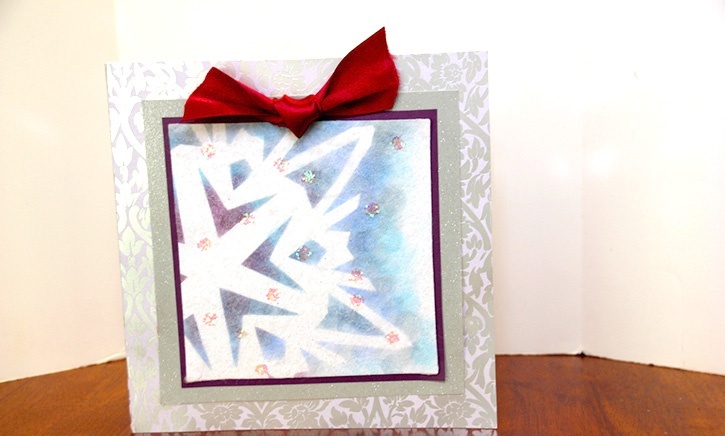 Add some more details to the cards using some pearl pens.